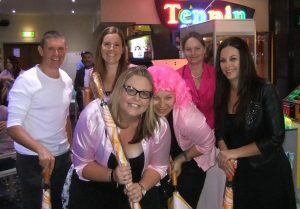 Each year the Pink ribbon Bowling Challenge is held at Tweed Ten Pin. 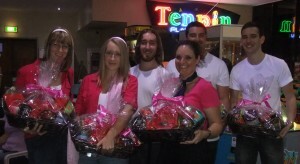 Organised by Professionals Real Estate Coolangatta & Banora Point, the annual event raises money for breast cancer. This year, two Oculus teams competed against twelve other local businesses, to claim the “Booby Prize”. The Oculus, “Gun team”, lead by Jenny Dallinger took home the “Booby Prize”, winning the night by a meager 20 pins. Not to be out done, the team of leftover players, aptly named the “duds” lead by David de Closey claimed third place. A very respectable result considering their bowling skills. 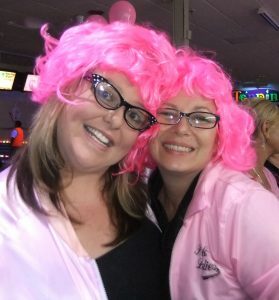 The Pink Ribbon Bowling Challenge is always a fun night for a great cause.